ESA’s Herschel infrared space telescope has made an unexpected discovery: a dark hole in space. 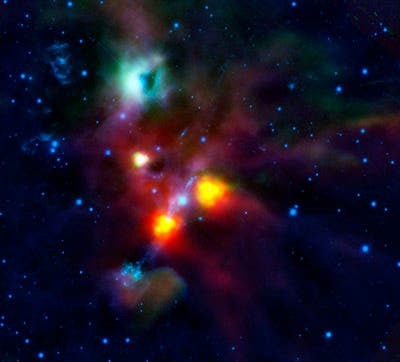 The hole has provided astronomers with a surprising glimpse into the end of the star-forming process. A cloud of bright reflective gas known to astronomers as NGC 1999 sits next to a black patch of sky. 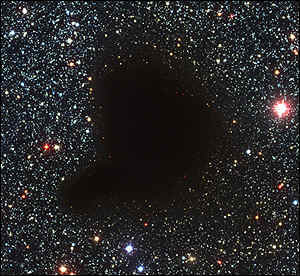 For most of the 20th century, such black patches have been known to be dense clouds of dust and gas that block light from passing through. When Herschel looked in its direction to study nearby young stars, the cloud continued to look black, which should not be the case. Herschel’s infrared eyes are designed to see into such clouds. Either the cloud was immensely dense or something was very unusual.